Our number 1 brand for the best quality oil on the market today! All the benefits, easy application! Feel fantastic with our range of CBD oil products! CBD, or cannabidiol, is one of the 104 chemical compounds found in the cannabis plant. A majority of these cannabinoids are formed on the plant’s leaves and buds. Another well-known cannabinoid is tetrahydrocannabinol or THC. CBD and THC are often mistaken for each other, even though both compounds are completely different and have unique properties. CBD, unlike THC, has no psychoactive properties and can therefore not get users “high”. THC, on the other hand, is often used for recreational purposes due to its psychotropic effects. In recent years, products like CBD oil have soared in popularity. When it comes to these products, CBD oil is perhaps the most prevalent as it can be dosed very precisely and accurately. One of the main reasons why this product has gained so much ground is the fact that the sublingual application method allows more CBD to be rapidly absorbed into the bloodstream than other methods. How is CBD oil manufactured? CBD oil consists of CBD paste that has been blended with hemp seed or olive oil. Most CBD oils are produced using the CO2 extraction method, which preserves and retains all the different natural cannabinoids. Products that have been made using this method therefore not only contain CBD, but also a variety of other beneficial cannabinoids. When combined, these different cannabinoids work together to produce an optimal result, which enthusiasts often call the “entourage effect”. 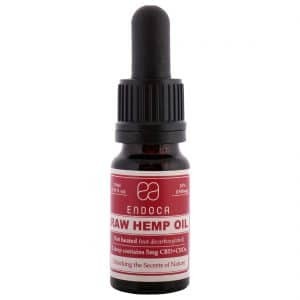 The CBD oils that are produced using this method are often called “RAW” (as in the case of MediHemp Raw CBD). 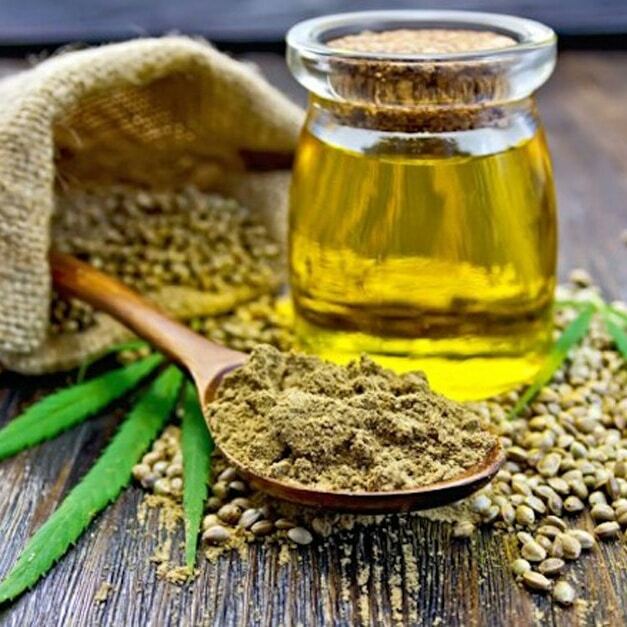 Another extraction method that can be used to derive CBD from the plant is the so-called oil extraction method, which only uses the buds of the hemp plant. This extraction process requires that the carrier oil must be heated; the other cannabinoids that are naturally present in the plant get lost during this process. The CBD oils produced using the CO2 extraction method are usually referred to as “Pure” OIL and often have a nutty taste. “RAW” CBD oil, on the other hand, tends to have a more bitter and pungent flavour. The human body also produces (indigenous) cannabinoids using its own endocannabinoid system. This system was first discovered approximately 30 years ago and was found to regulate various important bodily processes such as pain perception, sleep, and mental health. How do I know which brand is legit? There are many different brands of CBD oil out there, which can make it confusing to find one that’s right for you. All our CBD products have a so-called ‘batch number’ (i.e. a number assigned to a production batch which can be used to identify each individual product). This can be found on the bottom or side of the product. Every time a batch of oil is made, a sample will be sent to an independent, third-party laboratory to be tested for cannabinoid potency. These reports are available to customers so that you can verify the quality for yourself. It is important to know that there are different methods of consumption. We can help you figure out which is right for you. In terms of CBD, common oral consumption methods include CBD oil and CBD capsules. The former is among the most popular CBD products on the market right now. Our CBD oils come in a precise, easy to use, and convenient dropper bottle. By simply putting a few drops of your CBD oil under your tongue, the tincture will be absorbed through your oral mucosa and into your bloodstream. CBD oil can be mixed in a variety of different foods and beverages, which makes CBD oil a particularly attractive method of consumption for children and pets. Our CBD pastes and CBD crystals can also be applied sublingually, allowing the tincture to be absorbed through your oral mucosa and into your bloodstream. In addition, both the paste and crystals can be mixed with a neutral carrier oil, such as hemp seed oil or olive oil, and subsequently consumed in the same way as always. CBD pastes and CBD crystals usually contain a high percentage of CBD. Some people can’t get used to the fact that CBD oils often have a very unusual and rather pungent flavour. That’s why we offer capsules that are tasteless and odourless. 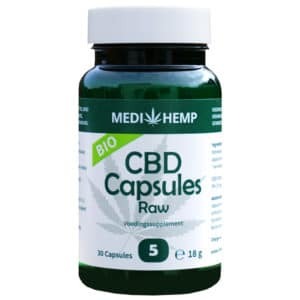 While tinctures and bottled CBD oils are perhaps the most popular way of ingesting CBD, these capsules contain exactly the same formula – they’re just absorbed differently. While the sublingual delivery method allows the compound to be absorbed by the mucous membranes and directly into the bloodstream, the capsules take a bit longer to be absorbed. Research suggests that CBD capsules stay in your system longer than sublingually-applied CBD. When taking CBD oil orally, it can take about half an hour to kick in and will remain active for 6-8 hours. We carry a wide range of ointments, creams and skin oils that are safe and great for use on humans and animals. As a topical agent, CBD can be applied to certain areas of the body can be and absorbed through the skin’s surface to interact with nearby cannabinoid receptors. When using these products on pets with a thick coat of fur, we recommend shaving the area before application, which will promote CBD absorption. Vaping allows for fast absorption and a relaxing, efficient CBD experience. Many people prefer using this method to get their CBD because it is healthier than smoking regular cigarettes or joints; there is growing evidence that suggests that vapor pens produce no toxic fumes or smoke. Vaping is an efficient method of CBD consumption and allows the active ingredients to quickly enter the bloodstream. Our e-liquids can be used with every universal vaporizer. When vaping CBD, the vapor is absorbed very quickly into the bloodstream and has an almost immediate onset of action. The effects of the CBD-rich e-liquids can last for up to four hours. The suppository is an often-overlooked but effective method of taking CBD oil. Endoca’s suppositories have a rich cannabidiol content and are designed to be inserted rectally or vaginally. Fast international shipping We ship to our customers throughout the whole of Europe, in just a few days. Check the details for your country here. Only the best hemp plants We only work with brands, laboratories and producers that uses the best organically grown hemp plants. Everything in stock! All products in our store are in stock and ready to be shipped! When we receive your payment before 18:00, we ship your order the same day! 100% Customer satisfaction We strive to be the best we can be, especially when it comes to our customer service. We truly value you as a customer and we are at your disposal for all questions. No harmful materials We do not use any metals, pesticides or chemicals in the production of our CBD products. Clear instructions Correct usage and dosage are imperative if you want to give CBD a fair chance. For this reason, we believe it's important to give you clear instructions. Wide range of strengths Because everyone is different, we offer a wide range of CBD products from 2,5% CBD up to 30%. All batches checked We make sure both our own products and those from other premium brands are tested regularly. Over 3800 pickup locations You can choose between 3800+ pickup locations from both DPD and PostNL all over Europe. Discrete packaging You will receive your products 100% discretely. We intentionally do not add any branding to our shipping packages. 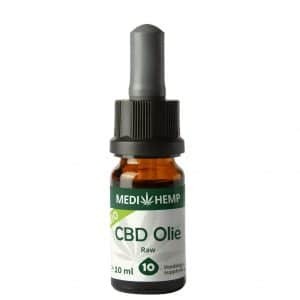 How much CBD oil does one bottle contain? Our CBD oils come in handy dropper oils that can be used to easily drip the oil under the tongue. All you have to do is just squeeze the bottle, which then dispenses only the amount you need. The number of drops per bottle may vary depending on the manufacturer, production process, and the viscosity of the CBD paste used to produce the oil. Because each batch of CBD paste is different, each batch of CBD oil will be slightly different too. Usually, a 10-millilitre bottle contains approximately 200 drops, while a 30-millilitre bottle contains approximately 600 drops. Who can use CBD products? Like humans, all animals have an endocannabinoid system. Both humans and animals, then, may safely use CBD products. While every animal is different, CBD dosage largely depends on its size and weight. We also know that CBD oil is completely safe for children. Younger children, especially those under ten years of age, may benefit from lower strengths (e.g. 2.5%). Our motto is clear and concise: customer satisfaction comes first. That’s exactly the sort of thing we love to hear, as we aim to provide clear and concise communications to visitors and customers alike and are dedicated to providing you help in clear language that you can easily understand. We don’t want to bog you down with chemicals you’ve never heard of and probably can’t even pronounce. The fact that you probably landed on this website because you’re looking for a CBD product tells us that you likely have better things to do than waste your time looking for answers. In addition to providing accurate and helpful information about our CBD products, customer satisfaction is our top priority. You can always contact our customer support team for advice, send us an email, or chat with us using our live chat feature. Our aim is to answer your emails as quickly as possible. During office hours, we will always try to get back to you within 30 minutes. In addition, we have developed a unique questionnaire that can help you find the right product that suits your need. After answering a number of relevant questions, you will be presented with an overview of our most popular and relevant products. As sales and interest grow, the demand for CBD products has also grown. In the Netherlands, CBD products are 100% legal due to the fact that the only contain trace amounts of THC, the psychoactive compound responsible for the “high” feeling often associated with cannabis. Because the products you can find in our online store only contain small and therefore negligible amounts of THC, they can be ordered, bought, and used legally. Different laws may apply between land territories, however. If you have any questions, please do not hesitate to contact us. We are always more than happy to answer your questions and help you out. This is a difficult question to answer, as each individual is different and has their own specific needs. The CBD oils that can be bought from our online store vary in strength and range CBD percentages of 2.5% to 18%. This percentage refers to the percentage of cannabidiol (CBD) in the lot and batch. 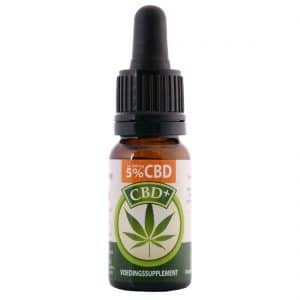 A 10-millilitre bottle of 2.5% CBD oil, for example, contains at least 250 mg of CBD. We recommend products containing a low percentage of CBD (e.g. 2.5%) for use by children and pets under 15kg. The average recommended serving size for adults is 5 milligrams or 5%. Both Jacob Hooy and Medihemp manufacture CBD oil with a percentage of five per cent. Some people want to use a higher concentration. 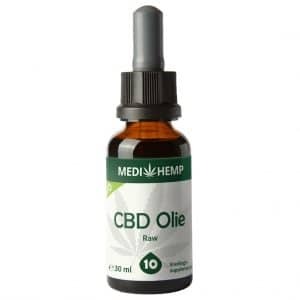 While Medihemp’s 10% CBD oil is by far our most popular product, we even carry a Medihemp oil that contains 18% CBD. The products with the highest concentration of CBD are the CBD paste and the CBD crystals. These are available in two strengths (i.e. 20% and 30%). Endoca’s CBD crystals boast an impressive CBD content of 98%. A lot of people have trouble figuring out the right dose of CBD. There’s no universal dosage that’s right for everyone, and there has been a proliferation of misconceptions about CBD. The right dose varies from individual to individual – people react differently to different strengths and concentrations. That’s why we recommend people to start low, go slow, and listen to their body. Every single one of our CBD products is equipped with a useful and practical manual. The percentage CBD is often mentioned on a bottle of CBD oil, but we also talk about milligrams of CBD. You can easly calculate the number of miligrams of CBD by dividing the total number of milligrams of CBD by the numer of drops in a bottle. One bottle of 10ml contains about 220 drops, and a bottle of 30 ml contains about 660 drops. Many people mistakenly believe that hemp and cannabis are the same. Hemp plants, however, are mainly cultivated for a variety of industrial and medical purposes, whereas cannabis plants are mainly grown for recreational use. While both plants share the same genus and species, their respective differences mainly reside in their chemical compositions. While hemp contains little THC – the psychoactive compound in marijuana that gets users high – and is rich in CBD, cannabis is the exact opposite. Many people aren’t aware of the fact the hemp plant is a versatile and robust plant that has many ecological benefits. Hemp fibre is amongst the strongest natural fibres known to man and has over 50,000 different applications. Hemp stems are used in the production of paper, textiles, cardboard, rope, paper, packaging materials, and plastic. Its flowers are extremely rich in cannabinoids and are often used for the production of dietary supplements such as CBD oil. Hemp seeds are naturally rich in vitamins and minerals, protein and various essential fatty acids. They are often used to produce hemp seed oil, hemp milk, body and skin care products, and for the industrial manufacturing of paint. Hemp roots also provide nutrients to the soil and can, for example, be used as natural compost. The cannabis plant, in contrast to the hemp plant, contains large amounts of THC, a compound known for its psychoactive effects. The cannabis plant is generally cultivated for the extraction of this particular chemical. Hemp and cannabis are grown differently: typically, the goal of growing cannabis is to have a large yield of plants with as many buds as possible. Unlike hemp, cannabis plants are susceptible to bacteria, mould, and pathogens that can affect their output. One of the most distinctive characteristics of cannabis is the smell. It is sharp and strong and can often be smelled from miles away. The industrial cultivation of hemp is legal in most countries due to its negligible concentration of THC. The cultivation of cannabis plants is illegal, however, and most countries impose heavy on selling, using or trafficking in cannabis. The Netherlands is famous for its tolerant drugs policy, which permits coffeeshops to sell cannabis under certain strict conditions. What are the differences between cannabis oil and CBD oil? While the terms “CBD oil” and “weed oil” are often used interchangeably, the differences between the two are important to wrap your head around. Cannabis oil is generally extracted from the buds of cannabis plants, which contain a lot of THC, and can, for example, be purchased at coffeeshops/dispensaries. Cannabis plants are known for their large concentrations of THC and are mainly grown for recreational purposes. CBD oil, on the other hand, is often extracted from the hemp plant, which only contains trace amounts of THC but is rich in many other cannabinoids and active compounds. CBD is non-psychoactive and mainly used for because of its significant medical and therapeutic benefits. The cannabis that is around today is a lot more potent than it was a few decades ago due to the consumer demand and the fact CBD and other cannabinoids were not deemed important for a long time. As a result, growers have engineered strains of pot that are far more potent and naturally lower in CBD than THC. In fact, many weed strains nowadays don’t even contain CBD anymore. In contrast, hemp plants are naturally rich in CBD and low in THC. The maximum content of THC allowed in hemp plants must be lower than 0.2%. CBD is now more popular than ever because it is both legal and safe: it can, therefore, be used by children and adults alike. CBD can be diluted with oils to create CBD oil or used in a concentrated form. This concentrated form is syrupy in terms of texture and is often sold as a paste. Medicinal CBD oil is often obtained by blending cannabidiol with a carrier oil such as hemp seed or olive oil.